Whenever I close a Pygame window, the program stays open. 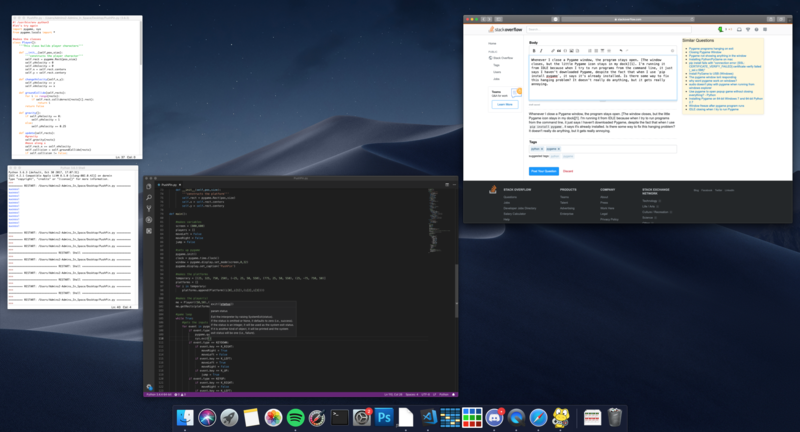 The window closes, but the little Pygame icon stays in my dock, and only closes when I force quit Pygame or close the interactive shell that opens. I'm running it from IDLE because when I try to run programs from the command line, it just says I haven't downloaded Pygame, despite the fact that when I use pip install pygame, it says it's already installed. Is there some way to fix this hanging problem with IDLE or make it work with the command line? It doesn't really do anything, but it gets really annoying.